Add 5 cups broth, and simmer for 1-3 minutes. At this point you have the option to add crab meat or chicken to the soup, then the heavy cream. For a light version add 1-2 table spoon of corn starch diluted in 1 tbsp of water to soup, instead of the heavy cream. Serves: 4-6. 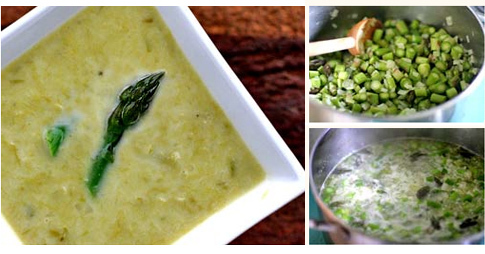 You can puree the soup or leave it, it is delicious and healthy either way.